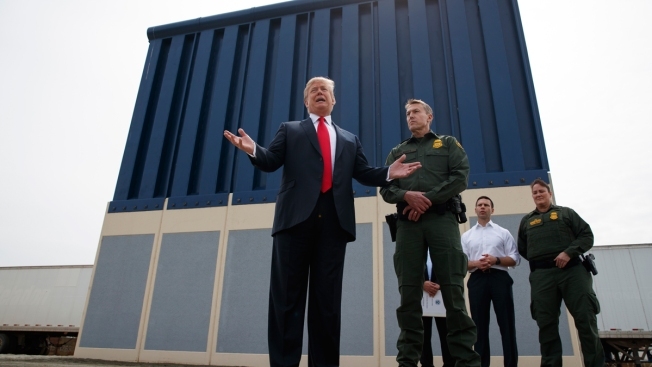 In this Tuesday, March 13, 2018, file photo, President Donald Trump talks with reporters as he reviews border wall prototypes in San Diego. A government report Monday warned that the Department of Homeland Security, or DHS, risks blowing through its budget and not meeting key deadlines regarding President Donald Trump's proposed border wall, NBC News reported. The report by the Government Accountability Office, or GAO, an internal government watchdog agency, found that DHS has not provided a complete analysis required to efficiently build the proposed barrier along the Mexico border — which could result in wasted taxpayer money. It also said the wall may not work as planned. A spokeswoman for DHS said the risks, threats and costs were taken into account during "initial prioritization" for developing barriers. 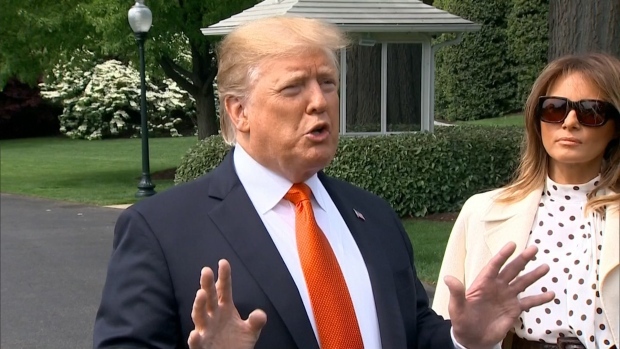 "After years of investment in a border wall system, we experienced a roughly 90 percent reduction in apprehensions in the San Diego, El Paso and Yuma sectors," she said.